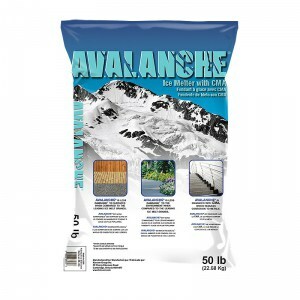 We’re often asked by customers “when is the right time to have all of your ice melt supplies for winter”? Believe it or not, the time is now. Already into October – if you haven’t yet placed an order for ice melt you should explore your options and act. 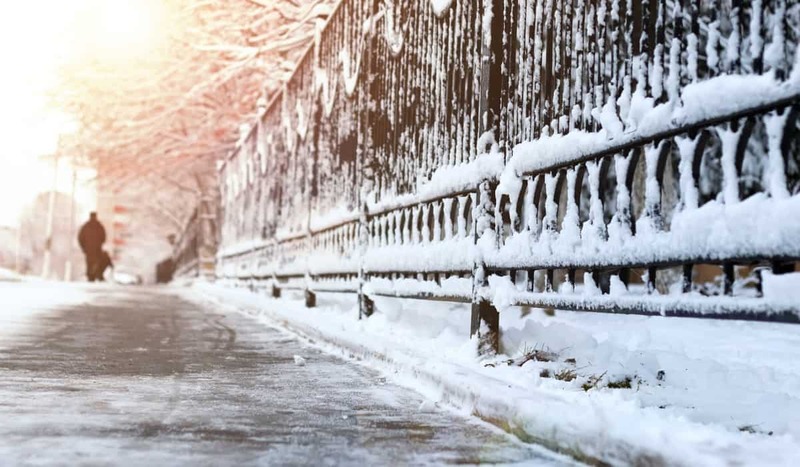 Having your ice melt supplies ahead of time, as opposed to after the first winter storm, will save you a serious headache, and could save one of your employees, students or customers from the aftermath of a slip and fall. When deciding on an ice melt you will want to know the melting temperature and ensure it matches up to the weather conditions where you will be using it. Some ice melts stop working below 20 degree Fahrenheit, which just won’t cut it during our NY winters. Others may try to wow you with an extreme melting temperature limit like -40 degrees Fahrenheit, but do you really need to pay extra for something so unlikely to come to pass? Typical rock salt may save you a few bucks and be easy to find but it’s toxic to plants and can ruin your landscaping. Does it have an Anti-Corrosion agent? You’ll want to keep damage to vehicles, equipment and other metal surfaces the ice melt will come in contact with to a minimum. In order to achieve this you’ll need to pick an ice melt that contains an anti-corrosion agent. Typical rock salt quickly corrodes both concrete and metal – reason enough to avoid it entirely. One reliable anti-corrosion formula is CMA (Calcium Magnesium Acetate). Will it help you protect your carpets, floors, footwear? The ice melts we recommend contain non-staining color additives that help ensure you won’t over apply and the amount tracked in won’t be as damaging. Another great way to address this issue is by deploying a proper matting system at the entrances of your facility. See more below! How does it need to be applied? Some forms of ice melt require application prior to snowfall and work from the ground up. Be sure you are utilizing something that works both ways so you can be both preventative and reactive to the unique and unpredictable weather this time of year. How do you want to purchase and store it? Some brands of ice melt are available in a variety of packaging types to suit your needs, while others are designed to be sold in bulk. Depending on your circumstances, your options will vary. Educating yourself is the best approach to choosing the best ice melt for you. You can save yourself a lot of time and money if you choose the most effective product for your business. A lot of issues can be caused by using inadequate/damaging ice melt. Making the correct decision will help you avoid serious damage to your business, landscape, vehicles and people. As an added protective element, matting is a necessary addition to your entrances. Consider the CleanZone entrance system from Mats Inc. to reduce the risk of slips and falls and protect your carpets and floors by trapping dirt at the entrance. Keeping this mess from spreading throughout your facility can also lower labor costs and decrease the likelihood of needing to repair your carpets or floors. Best of all they can customize any mat size or type with your business’ logo to provide an attractive welcome for all of your patrons. As a general guideline, we recommend the following mat types for each unique zone of your entrances. Outside the entrance, choose an aggressive scraping product that is as maintenance-free as possible. Between the exterior and interior doors, choose a product that scrapes off soil and absorbs moisture. In lobby areas, nylon fibers offer optimal performance for additional moisture absorption. Polypropylene fibers are ideal for applications requiring additional debris removal. 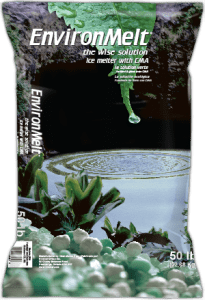 EnvironMelt Ice Melter with CMA (Bag Item # 8327175B; Box Item # 8327175). These products are easy to use and do not require any protective clothing. When used as directed these products cause far less damage to surfaces, reduce corrosion to metals and are less harmful to the environment than competing ice melts. Contact a Johnston expert today to see which option is most suited to your needs and to learn about the matting options available through Mats Inc.